Across Louisiana’s fertile fields and prairies, Bayou State gardeners have long harvested an astounding variety of fruits and vegetables. 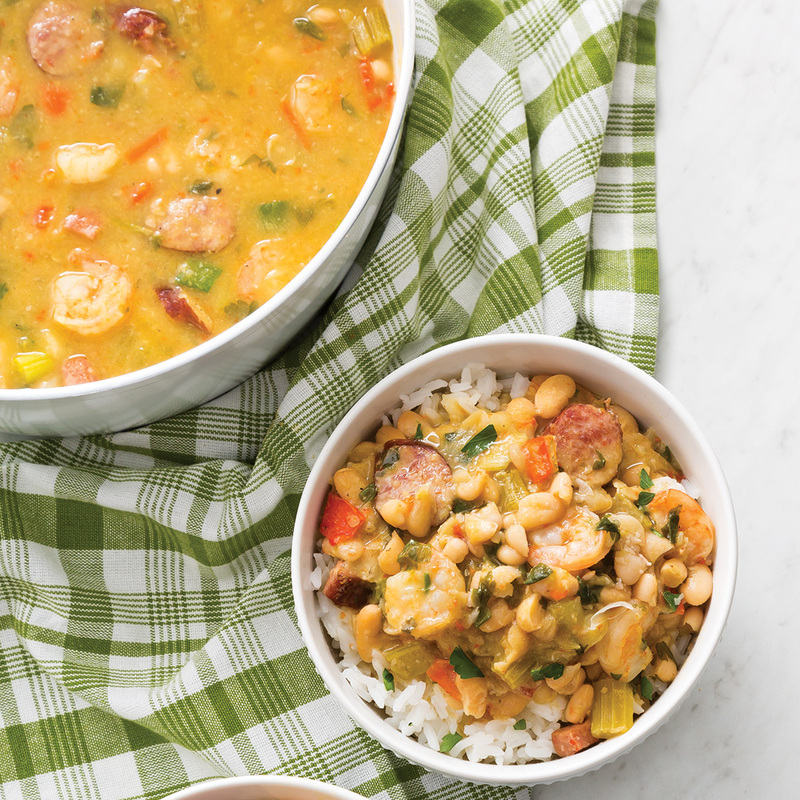 Our “gumbo pot” of cuisines and cultures has contributed to the vast library of preparations for the commercial and heirloom varietals that make up some of Louisiana’s most treasured dishes. In Can You Dig It? : Louisiana’s Authoritative Collection of Vegetable Cookery (Chef John Folse & Company Publishing, 2015), Chef John Folse celebrates the Bayou State’s deep agricultural roots with more than 600 vegetable-related recipes for appetizers, soups, salads, sides, entrées, breads, desserts, and even drinks. Leek Gratin, Gumbo des Herbes, and Mirliton Stuffed with Crab and Shrimp are just a few of the tome’s many offerings. Can You Dig It? begins with a look to the past by co-author Michaela York. The history of agriculture is discussed beginning with ancient populations and culminating in an overview of Louisiana’s unique contributions, with particular focus on the farming methods of Bayou State’s founding nations. 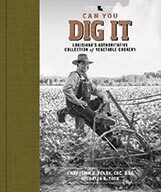 With chapters including The Swamp Floor Pantry, Root Vegetables, Leafy Greens, Grains, Pickling, and more, Can You Dig It? is a goldmine for any lover of gardening, cooking, and Southern foodways. 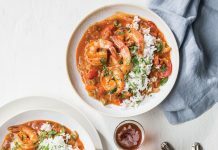 Try this recipe for Creole White Beans with Shrimp for dinner. We think you’ll love it. Soak beans in cold water for 24 hours. Drain beans, and rinse in cold water. Drain, and set aside. In a 4-quart stockpot, melt bacon drippings over medium-high heat. Add onion, ham, celery, bell peppers, garlic, and ½ cup green onion; cook until vegetables are softened, 5 to 10 minutes. Stir in sausage and beans; cook for 2 minutes. Pour in enough stock or water to cover mixture by 2 inches. Bring mixture to a boil, and cook for 30 minutes, stirring often. Reduce heat, and simmer, stirring occasionally, until beans are tender, about 1 hour. Stir in parsley and remaining ½ cup green onion. Season with salt, pepper, and granulated garlic (if desired). Using the back of a spoon, mash about ⅓ of beans against the side of the pot. (This will create a creamy texture.) Add shrimp, stirring to combine, and cook until shrimp are pink and firm, about 5 minutes. Serve over hot cooked rice. Note: This dish may be made up to 1 day ahead. You have a recipe for rabbit and white beans? I’ve had it once at occasion friends house his grandmother made it. Is this correct? 1/2 cup of sliced garlic. I love garlic but this seems a lot. Thanks for asking! This is how our Test Kitchen prepared the recipe (with 1/2 cup sliced garlic). 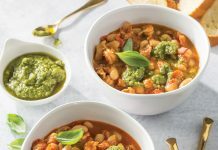 The tasters did find it a little garlicky, but that didn’t stop them from eating the whole bowl. You can always dial it back a bit! Is there any place that sells Lunch Tongue and will ship it out of state? Unfortunately, we don’t think you’ll have much luck finding lunch tongue on the internet. Trying this for the first time today. Had some at an LSU football tailgate before the game. It was great. 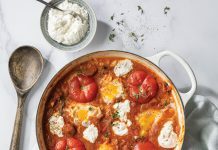 This looks as if it’s the closest recipe to what we ate. That’s awesome, Joe! Let us know how it goes.